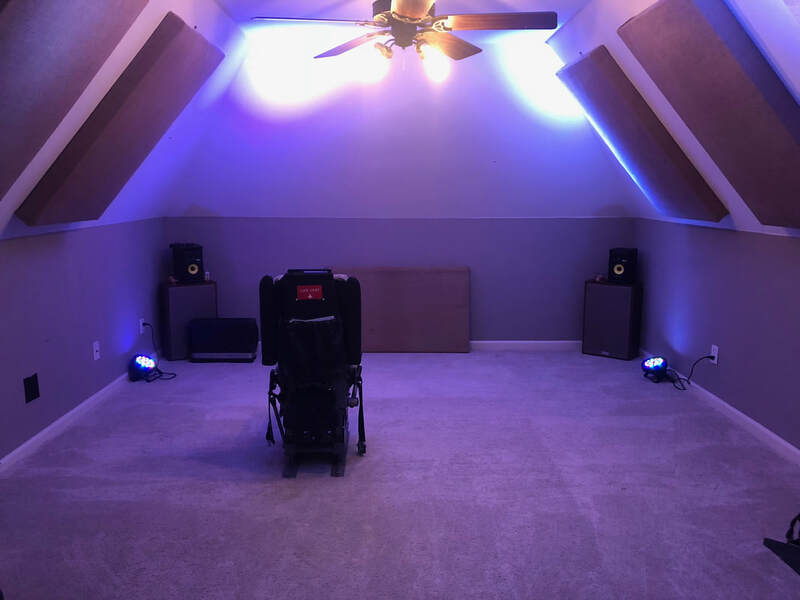 9/6/18 - A new name, new home, new parts! Those of you who have been following the project for a while will be familiar with our previous name: "The 727 Experience'. While this name has served us well, the project and it's goals have recently evolved and a new name became fitting. September 2018 is the initiation of "The Boeing 727 Legacy Project" - or sometimes shortened to "The 727 Legacy Project". Why the name change? In 2010, our goal was to build a simulator that was realistic and immersive. That was it. 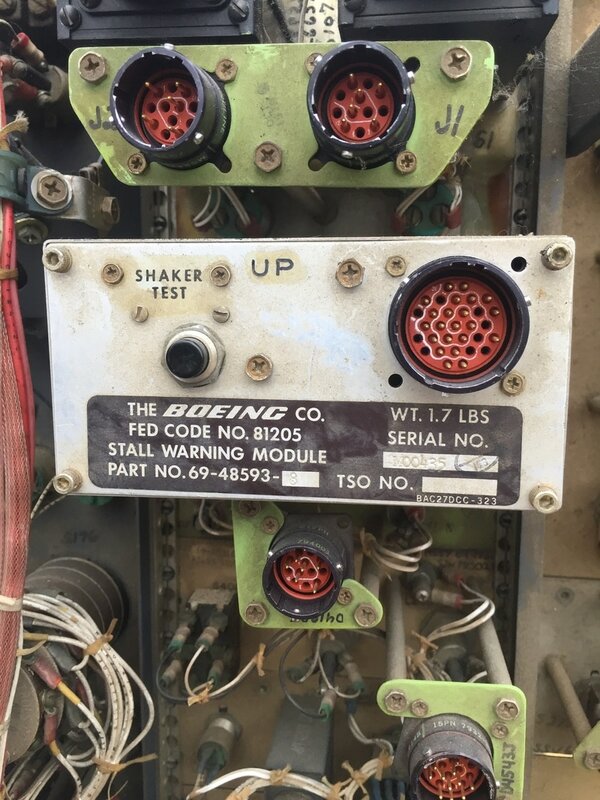 At the time, 727's were still in the skies, and the cockpit was comprised of purpose built simulator parts or homemade parts. 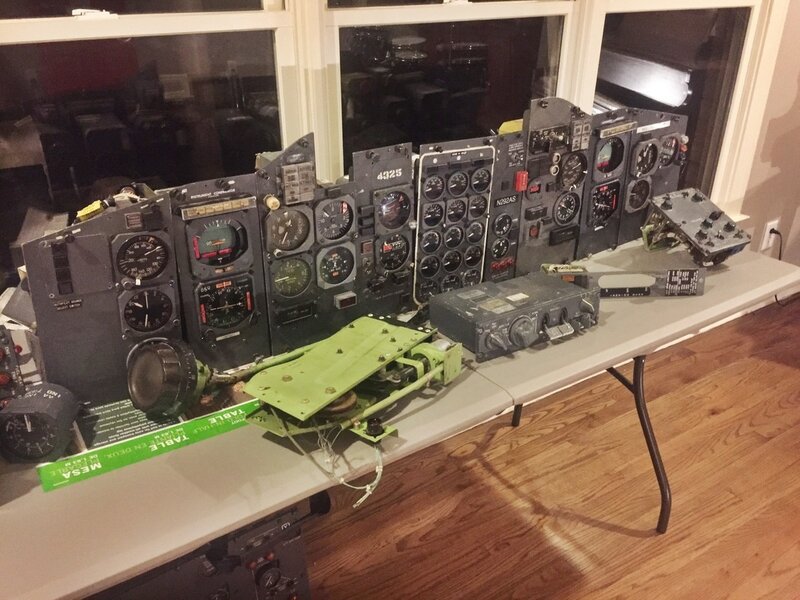 Recently, we have acquired numerous real parts from retired 727s that will now be implemented in the sim. It's 2018, 727s are relics of a time gone by. No longer will the three rows of black exhaust smoke be seen in the skies of the USA. We feel a sense of duty to carry on the legacy of the Boeing 727. There are over 15 airlines and 20 aircraft represented in the individual parts we have in the sim. Most recently, we scavenged parts from a former Pan-Am 727, N342PA. In the left photo, you will see the progress made on the back section of the cockpit. A new back wall has been built that more closely resembles the real aircraft. The cockpit door, spare bulb box, observer station, and numerous trim pieces are from N342PA. In a way, we are keeping this Pan-Am Jet Clipper flying. 5/13/18 - A new designated home! The new home "sim room"
After a year in storage, we are excited to finally announce that our 727 has found its third home (under our ownership). We have made room for it at home, which is fantastic. This will give us the most time to work on the sim with any free time that is available. There is a lot of work ahead with improvements that will be made. Plans are to build a new floor, build a new visual system, partially restore some cockpit components, and most importantly - begin to implement our real world overhead and MIP. The best phase is yet to come! Another bit of information: if you have followed along with our project, you will remember that modifications were made to our sim to make it more "generic" for crew resource management training. Things such as the 737 FCP will be removed in favor for the original 727 Sperry autopilot. The goal is for our 727 to be more "organic" than ever! Stay tuned! Just a portion of our real 727-200 parts waiting to be interfaced into the sim. So much has happened in the lives of our team in the past years! Since our last update, we have all graduated college and began working professional careers, many of which are in aviation. The simulator is still in our possession, but things are changing! Last time we checked in, we mentioned that the simulator was being used for Crew Resource Management (CRM) by a local flight school. That program grew rapidly in size and we ended up moving the simulator out of a home environment and into the flight school. The simulator saw daily use at the school and served as a great platform to help students transition from multi-engine piston to jet aircraft. While it was there, it also saw some notable upgrades. Since majority of the students training in the simulator would go on to become type rated in the Airbus A320, a modern FCP (Flight Control Panel) was added to the glareshield of our 727 to get the students used to manipulating a modern autopilot. We also replaced the Saitek radio panel with some great individual COM 1, COM 2, NAV 1, NAV 2, ADF, and Transponder units from Opencockpits. In the meantime, our old Saitek rudder pedals simply were not holding up. After a pedal broke off completely, we installed Precision Flight Controls rudder pedals on both sides. These pedals are solid as a rock and a huge step forward in realism. As they say, all good things must come to an end. 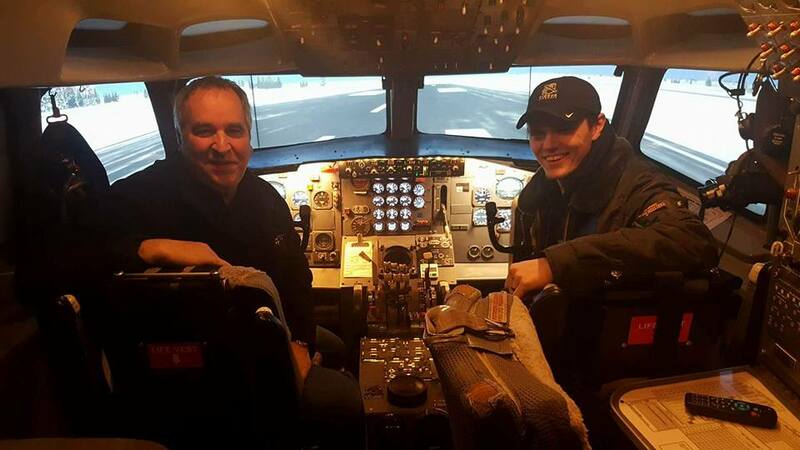 The flight school opted to purchase their own simulator after using ours for six years. This prompted us to move the simulator out of the flight school and into a new (third) home. As one door closed, a new door opened. Through a very fortunate experience, we are now the owners of a full real B727-200 MIP, compelete overhead, and many parts of the FE station. This is extremely exciting. Since day one, we have longed to have real gauges in our simulator. (Currently, gauges are virtually displayed via LCD screens behind the panels.) Interfacing these real gauges will be a massive project, but if we come out successful, our simulator will have reached a new level of realism. 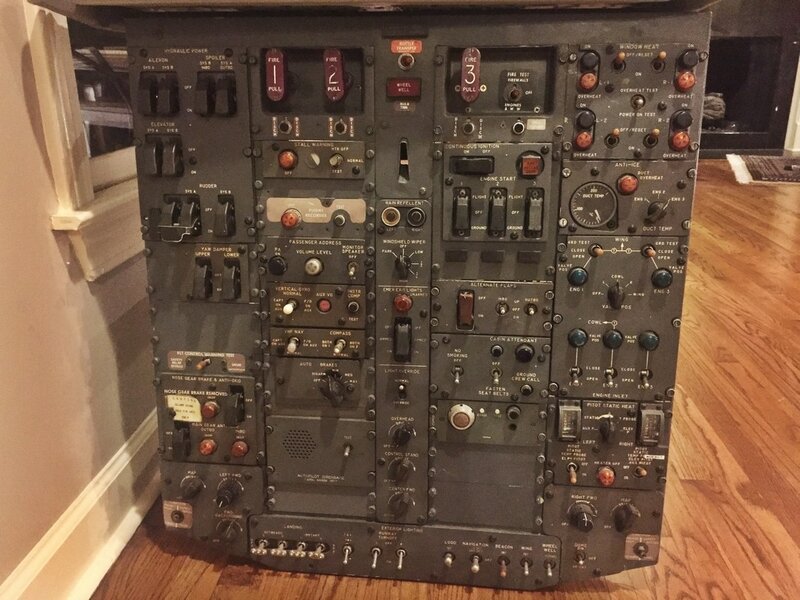 We plan to ditch our FCP and bring the 727 back to her original configuration complete with a Sperry autopilot. We can't wait to get the overhead all lit up with the help of our Flight Deck Solutions InterfaceIT cards that we have been using since day one. As we speak, the simulator is in temporary storage as we work to find a new permanent home for her. Wish us luck as we move forward into what we are calling "Phase Two" of the 727 Experience Project. 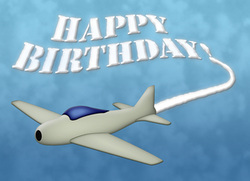 9/1/12 - The 727 Experience Turns Two! My how time flies! It seems like last week we were hauling the parts of the simulator up the stairs and into position. Things are nice and smooth around here at The 727X. Jon has recently joined board with the US Navy helping out in the simulator department, Hank has started training for his PPL while attending college, and I have started classes at Embry-Riddle Aeronautical University here in Memphis and continue to keep the simulator up and running. The 727 has been getting use for crew resource training (CRM) by a local flight school. It is awesome to see it prepare new pilots for a career in commercial aviation! We have been talking about potentially fitting the 727 with FMCs in the near future. No decisions have been made yet, but it is on the table! Having RNAV capability would help the old bird cope with modern navigation charts and routes much better. 9/1/11 - One Year of our 727 Project! It's hard to believe that a year has gone by since our 727 project was officially initiated. It has been and continues to be a wonderful experience discovering something new about the romance of flight every time that we crank the sim up. Jon has moved into his dorm at Virginia Tech and has begun his first year of college. I (Will) am still in Memphis finishing up my last year of high school and continuing my music career. I will continue to work diligently on the simulator making sure that it stays maintained and that advances continue. I will miss having such a great crew member as Jon but I will be sure to keep in touch and to train new pilots! As for the anniversary, I will post some new pictures in the photos section. Check them out! Here is a video of a landing made into Narita on the Fedex Flight 80 tribute flight. 2/17/11 - APU panel interfaced. Today we interfaced the Auxiliary Power Unit panel. For those of you who do not know what an APU is, it is a small jet engine in the rear of the plane that provides power for the aircraft when the battery or engine generators are not enough (such as when taxing or sitting on the ramp.) The APU provides no thrust, it is only used as a generator. Here is a quick video demonstrating the APU panel. Today marks the official completion of the simulator. Flights can be flown from startup to shutdown without using a mouse or keyboard, and the sim is completely immersive. We have finally attained and installed the seat rails for the captain and first officer seats. And we have installed a ButtKicker LFE low frequency transducer. Now hold on there Jethro! This doesn't in any way mean that you will not see new updates to the website. While today might have been the "official completion", a home simulator is never actually "complete." We will continue to add things to it and update the webpage as regularly as ever. This will also give us more opportunity to make the website more useful and resourceful to fellow builders. 1/17/11 - Back wall built and installed. We have successfully built and installed the back wall for the simulator. We hope to have a curtain made for the opening. We like the idea of a curtain instead of a door so that the cockpit will have better ventilation and also because the traffic in and out of the sim can be high at times. Pictures of the back wall in the gallery! 1/13/11 - Flight engineer and observer seats installed! Today we acquired and installed our two new seats for the simulator. These seats came from N484FE, a Boeing 727-227 (Adv). We are still looking for the rails for our seats, but hopefully we will come across some soon. We also purchased some light amber light gels, normally used for stage lighting, to use for our cockpit fluorescent lights. We have made observations that many old 727-100's fluorescent lights have sort of a light amber tint to them. So, we installed the gels on the lights and it gives the cockpit a much more vintage feel and also a more authentic appearance. 1/6/11 - MyCockpit.org Builder of The Month! I am honored to receive the January 2011 MyCockpit.org builder of the month award! It is really a pleasure talking with the guys on the MyCockpit.org forums. If you are a cockpit builder and haven't been there, you need to go! It is simply the top source for information and help with building your own home cockpit simulator. Read the article here. We hope everyone had a happy new year! We have continued to be hard at work on our good ole' 727. I have been working on making an old 1960's RCA weather radar functional for the simulator. It is just about done, and we just need to mount it into the sim. Pictures in the gallery! 12/30/10 - Just havin' a little fun! In all of our seriousness, we just can't help but have a little fun every once in a while, so heres a little video to lighten your mood. We have found that our captain and first officer seats came from N218FE (Cristin), a Boeing 727-233 (Adv); and our second officer and forward observer seats came from N484FE (Hallie), a Boeing 727-227 (Adv). The flip of a coin decided that the simulator will carry the registration of N484FE, Hallie. 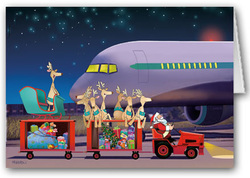 12/25/10 - Merry Christmas from The 727 Experience! We would like to wish everyone a very Merry Christmas from here at The 727 Experience. We have been hard at work on the cockpit and have recently been training new flight engineers. We hope to get our second officer and observer seats in soon (along with the Captain & F/O seat rails), so stay tuned! 12/17/10 - A few quick updates. We have been hard at work on the simulator over the last few weeks! Our biggest point of improvement is that our instruments are FULLY interfaced into the simulator. Most notably, it is now easy to track VORs, DMEs, and shoot ILS approaches using the good ole needle! Also, you may have noticed that we have added a live webcam to the simulator, so you can now watch what goes on in the cockpit during our flights via the homepage of this site. We will try to have this running whenever a flight is being conducted in the simulator. 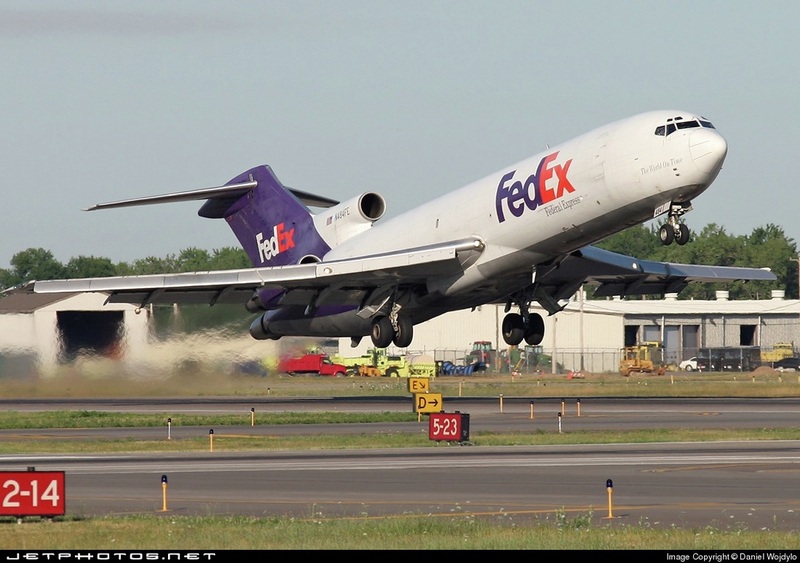 Here is a video of a landing at Tallahassee Regional Airport (KTLH) on a Fedex Virtual Cargo flight from Memphis under the callsign FDX1553. This flight was conducted over the VATSIM network with live air traffic control. 11/27/10 - Overhead completed and installed, throttle quadrant interfaced. It has been a while since an update, but we have been hard at work every day! We have completed interfacing the overhead and it is now installed in the sim. We also have completed interfacing the throttle quadrant using Leo Bodnar's wonderful interfacing card. We also have successfully interfaced the landing gear handle as well. Now with most of the big pieces finished, we can begin to work on the details. We can see the light at the end of the tunnel! Also, we hope to make a updated video demonstrating all of the new features of the sim, so stay tuned! 11/11/10 - Work begins on overhead panel. Work has started in interfacing the overhead panel to work with the flight simulator. We are using Flight Deck Solutions "InterfaceIT" boards with Peter Dowsons fabulous FSUIPC. Below is a video of a test for the engine start switches. 11/8/10 - Real 727 seats acquired! 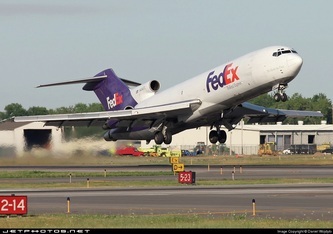 Thanks to the fantastic guys at FedEx, we now have real captain and first officers seats from a Fedex 727 freighter. These are relatively new (1980 - 1990) Ipeco 727/737 style seats that really compliment the cockpit well. We are still on the hunt for a second officers seat and an observer seat. Also, we do not currently have seat rails to go with the Ipeco seats (these style seats must slide on rails to allow a crew member to get into them) - So, we are also on a hunt for some seat rails as well. Until then, we can still get the experience of these fantastic seats in the simulator. Pictures in the gallery! 11/5/10 - Joined Fedex Virtual Cargo! We are excited to say that we have joined FedEx Virtual Cargo and we will soon begin to fly cargo flights for them via the VATSIM network. Using the simulator on the VATSIM network while flying for a virtual airline (better yet, the airline whose logo is painted on the outside of the sim) will bring the level of realism to unmatchable heights. We cannot wait to get started! 11/1/10 - Main Instrument Panel Completed! We have completed assembly of the MIP and now have full functioning gauges. Pictures in the gallery! 10/29/10 - Sit back, relax, and enjoy your flight. We dedicated the night to flying the simulator and enjoying the work we have done so far, with much more work to come! Here is a clip of Jon landing at Memphis International. 10/27/10 - Captain's panel completed. We have completed the captain's instrument panel with very nice results. Pictures in the gallery! 10/26/10 - Engine panel completed. We have completed the engine panel and are very pleased with the results. Pictures in the gallery! Also, today we will begin working on the captain and first officer instrument panels. I would like to give a big thanks to Joe Gibbs Racing who was kind enough to cut the holes in the MIP for the gauges. It could not have been done without them. 10/21/10 - Yoke columns and audio systems installed; computers networked. We have successfully networked our three computers. WideFS is used for the instructor PC and Wideview is used for the PC that displays the gauges on the main instrument panel. (We do not feel that WideView is the best program for interfacing these avionics. If you have suggestions for a better program, please do contact us.) We have installed three separate speaker systems within the simulator. Each set of speakers is connected to an individual computer. This gives us an individual system for engine sounds, GPWS sounds, and gear/flap sounds. With these speakers placed accordingly in the cockpit, it creates a very realistic audio experience. 10/15/10 - FE panel finished, engine panel installed. We have installed the fluorescent lights on the FE panel and also installed the engine panel. Pictures in the gallery! 10/14/10 - Flight engineer panel installed. Today, we installed the flight engineer panel and began work on the lighting. The FE panel will be only semi-functional for the moment. We will slowly interface more lights and switches as the project progresses. 10/13/10 - Glare shield lights installed. Installed the back portion of the outer shell. Installed the right portion of the back wall. Installed the glare shield and fire panel. Installed all of the interior panels. Installed the ceiling flood light fixtures for both the red and white lights. Installed the emergency exit sign. 10/5/10 - Second Projector Mounted. Today we mounted the second projector with good results. 10/4/10 - Shell assembly begins, first projector mounted. Over the past week we have made lots of progress. We have assembled the forward outer shell and have mounted the first projector. Through this, we were able to do a little test flight using our projector and a joystick. 9/27/10 - Simulator base is completed. Today, we bolted all of the floor panels into place and painted them slate gray to simulate the floor of a 727. Pictures in the gallery. 9/26/10 - New name, same project! Today we thoroughly cleaned all of the parts and moved the interior pieces up into the simulator room. We also began assembling our custom designed base for the simulator shell that will also serve as a more realistic cockpit floor. We have also learned that our 727-100 CPT simulator was originally built in the late 1960's and the first owner was American Airlines. Today we finished the disassembly of the CPT simulator. After a total of 12 hours of work by our team, the simulator pieces are now at our house. We hope to soon begin work on a new, lower profile floor section. Today we will begin the five day process of taking apart the CPT simulator at the FedEx training facility. UPDATE: Today was a great day! Lots of work was done on the interior of the flight deck and all of the panels were successfully removed. Tomorrow we will finish up on the interior and we hope to start on the exterior on Wednesday. 9/17/10 - Wood floors installed, purchase of projectors. Today we had the hardwood floors installed in the simulator room and bought our three projectors for use in the simulator. Pictures to come! 9/16/10 - The call we have been waiting for! 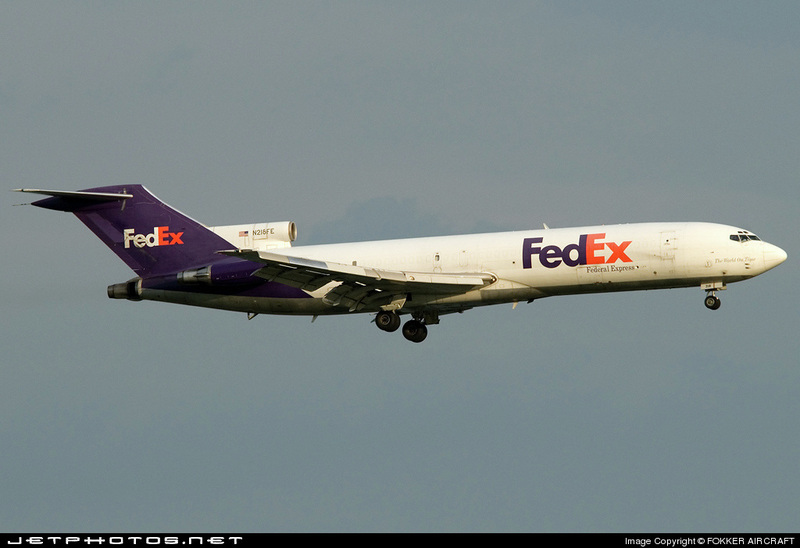 The guys at FedEx 727 flight training called us today to let us know that they will be donating their 727-100 CPT trainer to The 727 Experience! We will begin takedown of the simulator on Monday to prepare it for transportation from Memphis International Airport to our house across town. We can't wait to get started. 9/13/10 - Prep of the simulator room. This week, we will be installing hardwood floors in the simulator room. 9/10/10 - The future is bright! We have been informed that there is a possibility of acquiring a Boeing 727-100 Cockpit Procedures Trainer! This would be absolutely incredible if we get a hold of it. If you don't know what this is, it is essentially a full flight simulator except for the lack of a visual system and motion. This would put the hardest work out of the way for us and we could get going on the "fun stuff". This would also provide a much more realistic simulator considering it would be made mostly out of genuine Boeing parts!! 9/8/10 - Post visit update. 9/1/10 - Planning a visit. On 9/8/10, we will have the privilege to step inside of a real FedEx 727-200 simulator and take the controls of the most legendary airliner of all time. During this visit, we will take dimensions of the cockpit, and also take detailed photographs for documentation. Updates to come!